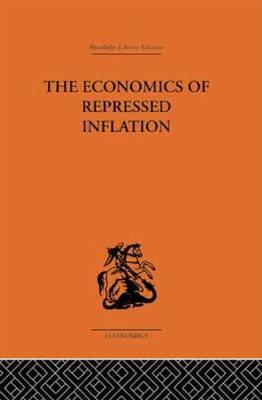 'It provides the best complete discussion I know of the economics of repressed inflation' F.W. Paish. The Economics of Repressed Inflation is a micro-economic analysis of the effects of a partially controlled inflation in a peacetime economy. This analysis suggests that the combination of inflationary pressures and the control of consumption has economic effects on the price level and on the distribution of resources which may be as serious for the economy as the more widely recognized effects of an uncontrolled inflation. Buy The Economics of Repressed Inflation by H. K. Charlesworth from Australia's Online Independent Bookstore, Boomerang Books.